If you’re planning to invest in one children’s non-fiction title for this year then On the Origin of Species retold by Sabina Radeva needs to be on your shortlist. 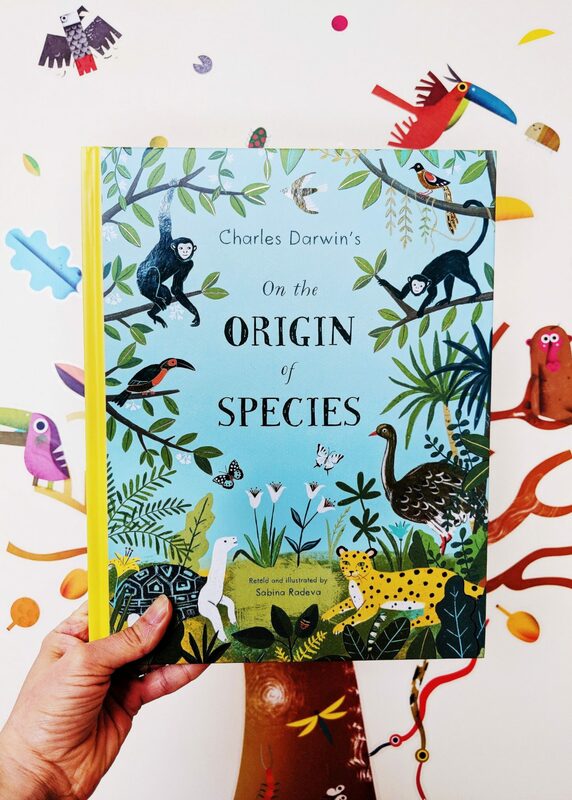 This gorgeous illustrated book explains Charles Darwin’s controversial theory in a way that’s accessible for kids aged 5-17. Before I get stuck in, I’ll say upfront that we were involved in a paid collaboration for this book (on Instagram) but I would still have bought this beauty even if it hadn’t been gifted. First of all – the pictures are absolutely gorgeous. Radeva’s artwork fits my aesthetic perfectly. Her graphic style is full of colour and each page depicts the Darwin’s ideas in a satisfying, simple way. I’ve posted some images here but it’s worth checking out her website too. She has her own graphic design company and paints the prettiest portrait commissions. What shall we say to so marvelous an instinct as that which leads the bee to make cells, which have practically anticipated the discoveries of profound mathematicians? There’s a real sense of wonder sparkling through the pages as Darwin’s own excitement at his discoveries shines through. And there are many levels of information too. Younger children will enjoy looking at the different animals, older kids will like the science. It’s a title that can evolve with your family. Little M loved looking at pages on fossils (she spotted the Dodo!) and choosing her favourite insects on the endpapers. From an adult perspective, I was pleased to see the additional material at the back of the book. There’s a glossary explaining the more difficult words as well as an appendix which outlines key people and terms. The page entitled Misconceptions was a real highlight. This debunks popular beliefs associated with the theory. Radeva covers topics such as ‘Evolution explains the origin of life on Earth’ and ‘Evolution proves that we evolved from monkeys’. I’m very glad she included these for the purposes of clarity and balance. It definitely set me straight on a few things. Regardless of your thoughts about Darwin’s work, this is an intelligent and beautiful book that’s bound to get your family talking. It melds history and science in a way that will enhance your observations and make you view nature in a new light. Published by Puffin, you can buy the book here. 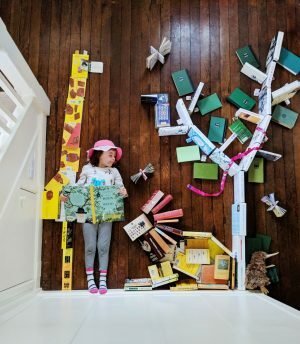 If you enjoyed this post, you might want to see our other book reviews. This looks like such a wonderful book. I am going to pick it up and read it to my daughter. Thanks! It’s really nicely done Beth! I hope your daughter will enjoy it – it has lots of longevity. This sounds like a great book for kids! It’s beautiful & informative. Sabina Radeva has created something very special!